Welcome freshman, to the wildest four years of your life. While your days here will be filled with cramming for tests and crying from anxiety. Your nights here will be filled with some of life’s best memories. After your homework is done (or not), you’ll be able to explore this wonderful city and your new home. Madison has quite the reputation for campus nightlife, but if you’re not into that, no problem. Here are a few spots to hit for the downtown Madison nightlife experience. 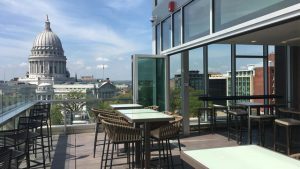 No where else in Madison will you be able to have a view of Lake Monona, Mendota, and the Capital building, all at once. Eno Vino wine bar and bistro, is a tapas style restaurant, that pulls inspiration from all over the world into their dishes. With over 300 bottles of wine to choose from, they have one of the largest selections in the state. His skills beat Bobby Flay’s, so his ramen must be good. Iron Chef Tony Miller created SUEJO, a Pan-Asian inspired restaurant. 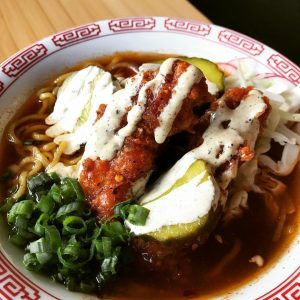 Though, not strictly Korean, his menu is influenced by techniques from all over the world. Along with locally sourced ingredients. 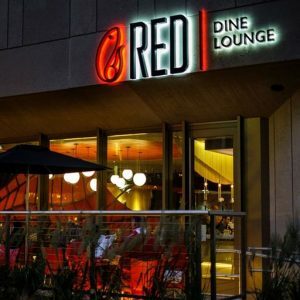 RED was voted by Madison Magazine, the best sushi in Madison for three consecutive years. Even if you don’t like sushi, Executive Chef Jack Yip has created a menu far beyond Japanese sushi that is worth the trip.